We are excited to be helping to partner on a fun Bike Rodeo event on Saturday, April 12, 2014. 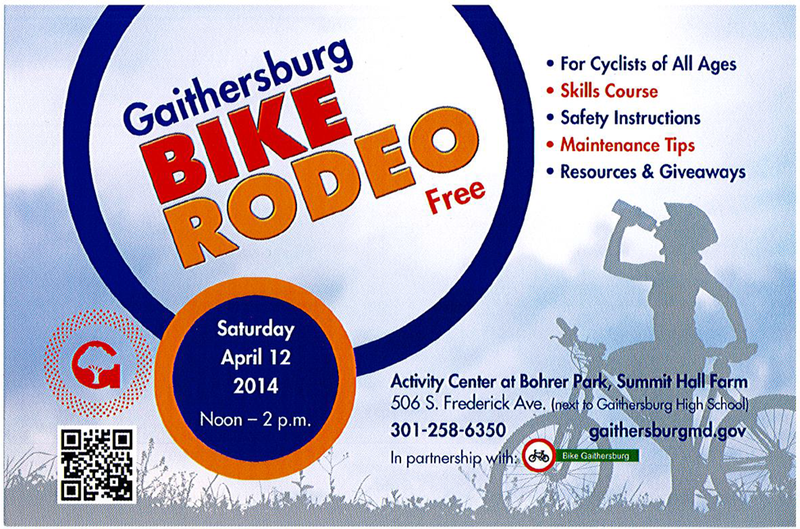 The City of Gaithersburg will be hosting the Bike Rodeo from noon-2 pm that day at Bohrer Park. The event is aimed at all types of bicycle riders and all age groups. We look forward to seeing everyone for a fun and informative day of events and networking with fellow riders.